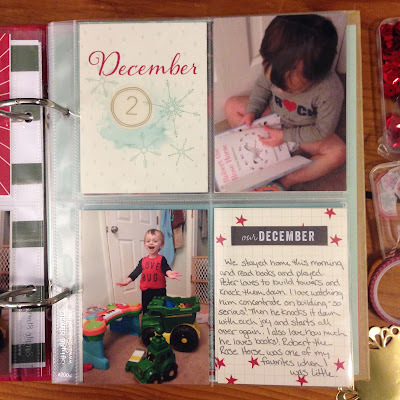 This post is a long one, but I wanted to share my Week One of my Daily December Album all in one post. I have a few videos throughout the post, too. There is a process video for my 2 page spread of days 3 & 4 and a process video for day 6. At the end of the post there an Album flip through video for the whole week. So you can scroll down to that or head over to My YouTube Channel to check that out. I am using the Gossamer Blue December Memories Kit and the Project Life by Stampin' Up! 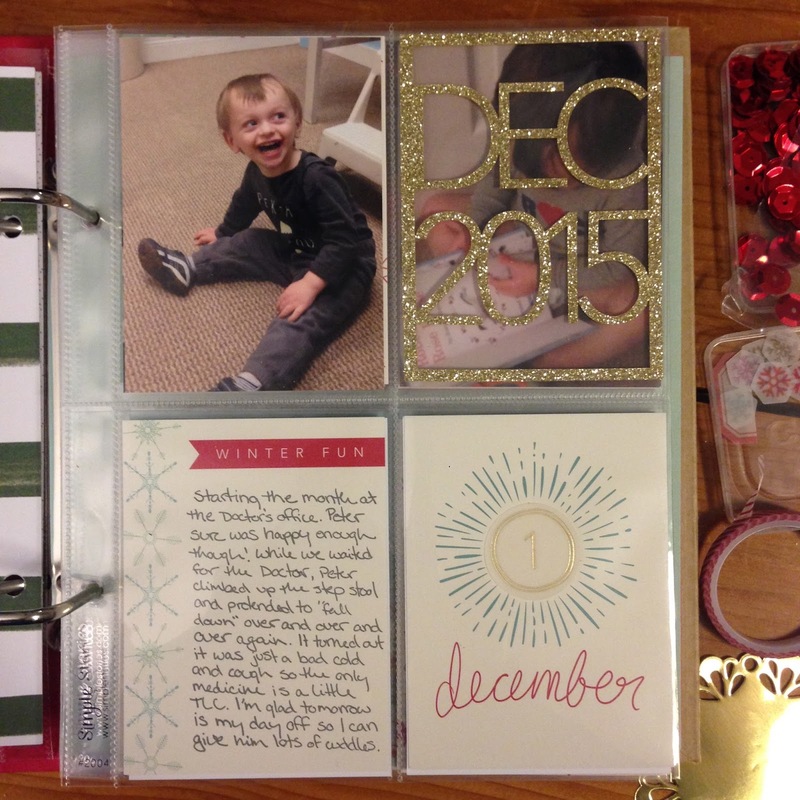 Hello December 2015 bundle this year. 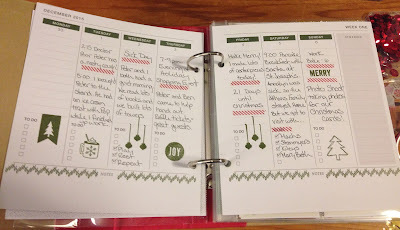 I really like these Weekly Divider Planner pages from the Gossamer Blue kit. 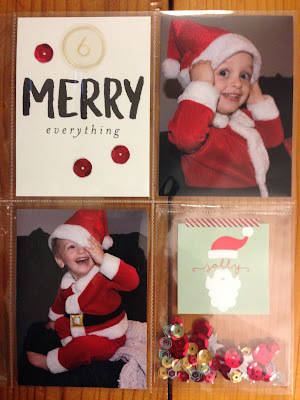 I used 3 different Stampin' Up! 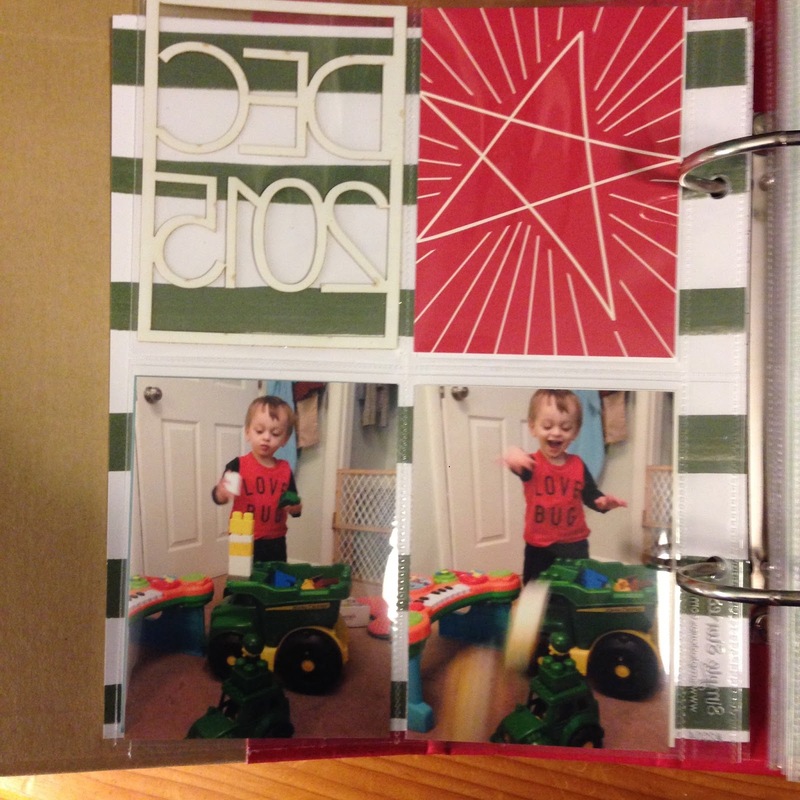 stamp sets to decorate the pages and stamped everything in Mossy Meadow ink. The stamp sets I used were Hello December 2015, Seasonal Snapshot 2015 and Among the Branches. I also divided up the events of the day with a little strip of washi tape from the Hello December bundle. 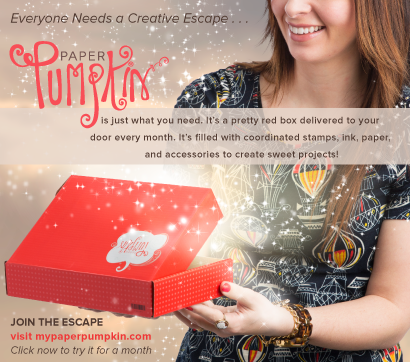 I will have all of the Stampin' Up! products I used listed at the end of this post with links to my online store if you see anything you like. I kept it super simple. Everything was from the PL SU! Hello December bundle. I'm still thinking about making the die cut pocket a shaker pocket, but we'll see. I really wanted to include the photo sequence of my Son building towers and knocking them down, so this turned into a 2 pager. 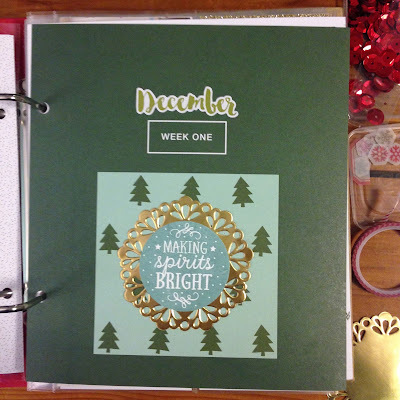 The December sticker on the journal card is from the Gossamer Blue kit but everything else was from the PL SU! 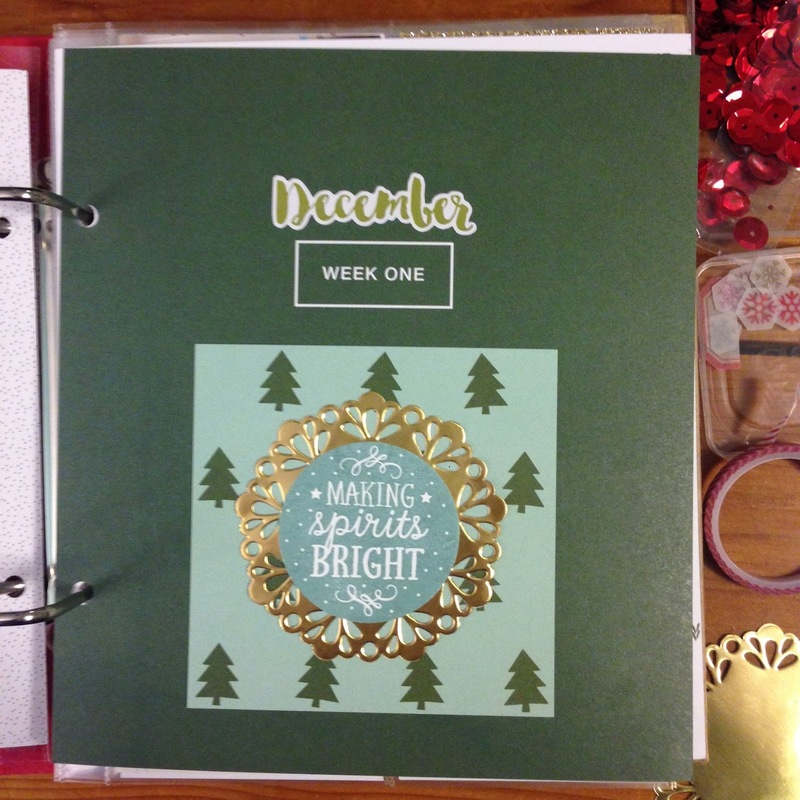 Hello December bundle. 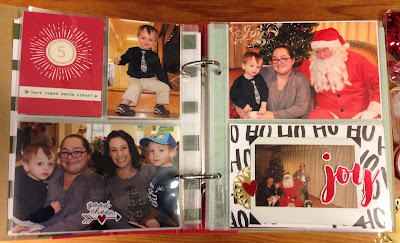 We went to a pancake breakfast with Santa at our church so we had lots of photos from today! I had to narrow it down to my favorites for this album, but I will include many more in our family Project Life album. I wanted to include the instax photo of our family with Santa, but I didn't want to make it permanent, so I used some old school photo corners. 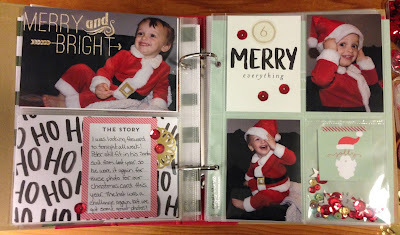 I embellished with Simple Stories stickers from the Gossamer Blue kit, but I put them on the outside of the pocket so nothing was stuck to my photo. In the pocket above that, I used the Rhonna Designs app on my phone to add the word 'Joy" to my photo. I love that app! 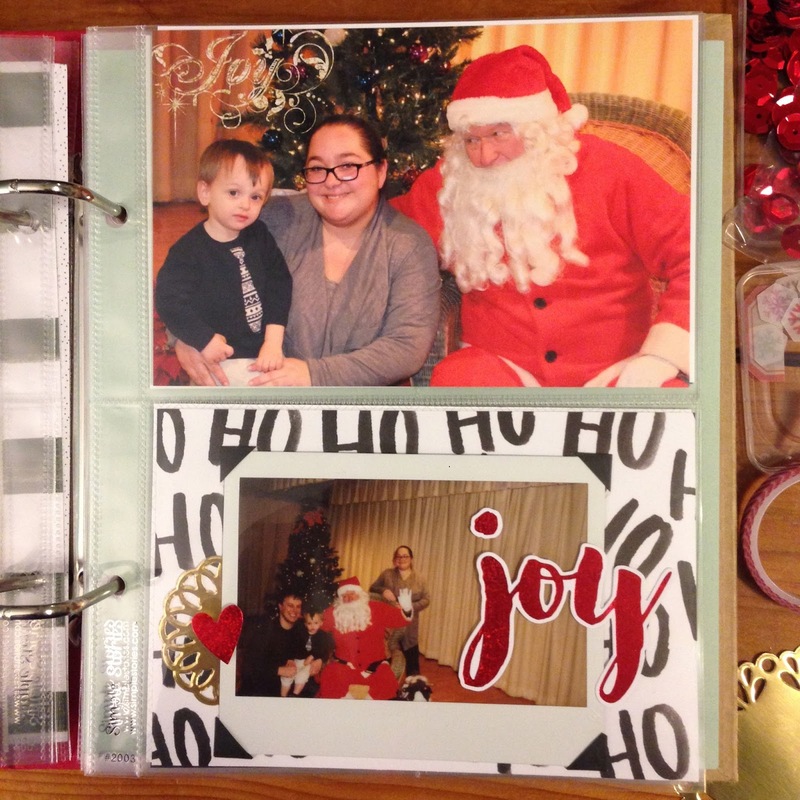 I use it a lot, especially with my Christmas photos! This is my favorite layout of the week. We took photos of my Son dressed up like Santa for our Christmas card and he was being so cute and silly. I was hoping we would get one good shot and now I can't pick a favorite! I used the Rhonna Designs app again to print 'Merry & Bright' right on my photo. 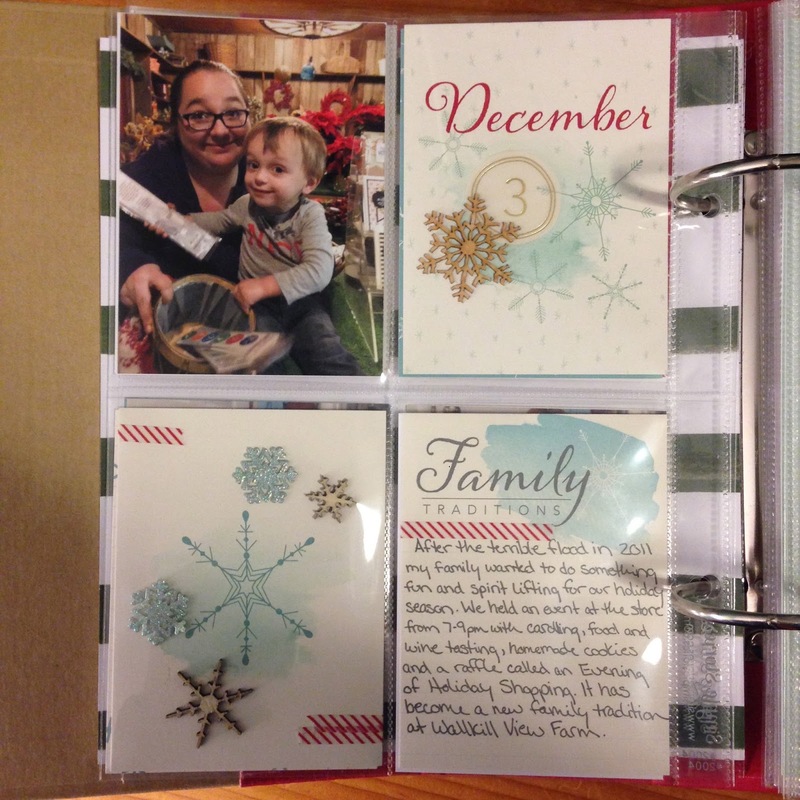 All of the cards are from the Gossamer Blue kit. 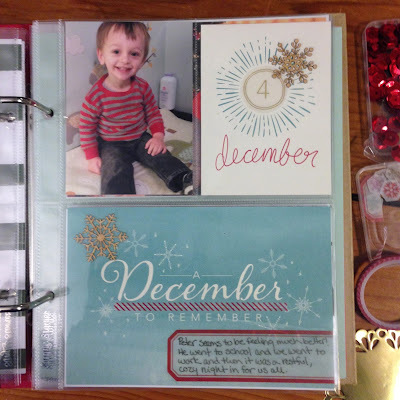 The red and white journal card is actually from last year's Gossamer Blue December memories kit. I used one of the clear pockets from the PL SU! 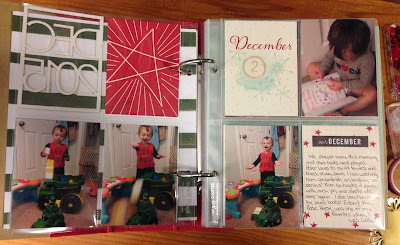 Hello December kit to create the shaker pocket. You can see how I created it in the video above. 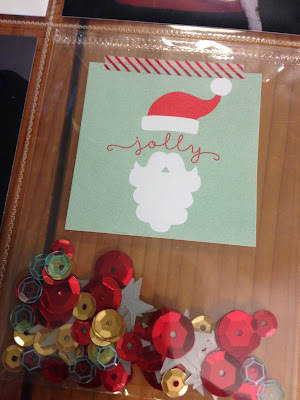 And, here is the video where I share a flip through of the whole week. I love this project so much! It totally rejuvenates my scrapping creativity and really gets me excited to start our new family album for 2016! 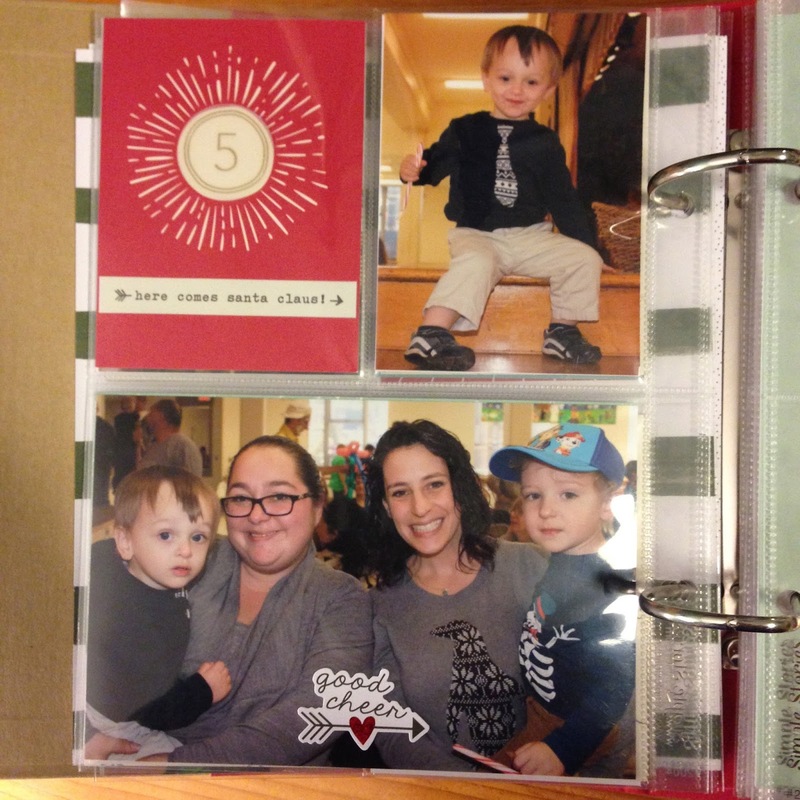 Thanks so much for stopping by and checking out my album! Please leave me a comment below telling me what you think and how your album is going! I would love to hear from you! 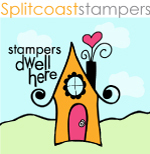 Here is a list of all of the Stampin' Up! products I used this week with links to my online store.